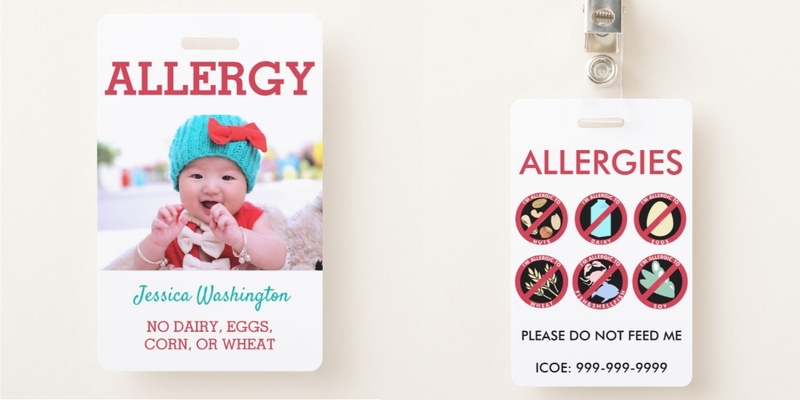 Double-sided PVC plastic, durable personalized food allergy badge. 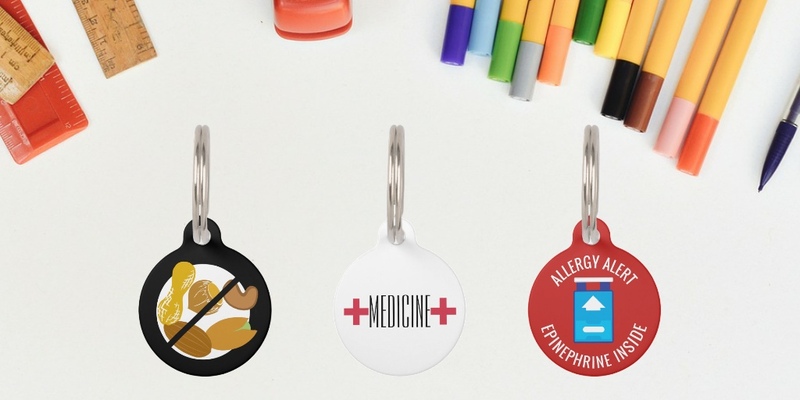 Choose a lanyard, metal clip, or retractable clip to make it easy to attach these allergy alerts to a book bag, medicine kit or let your child wear. 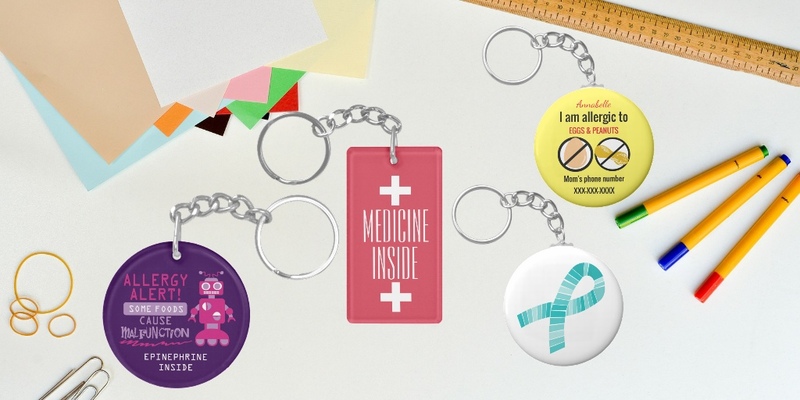 Easy to read font, bright colors and dimensions of 2.13″ x 3.3″. 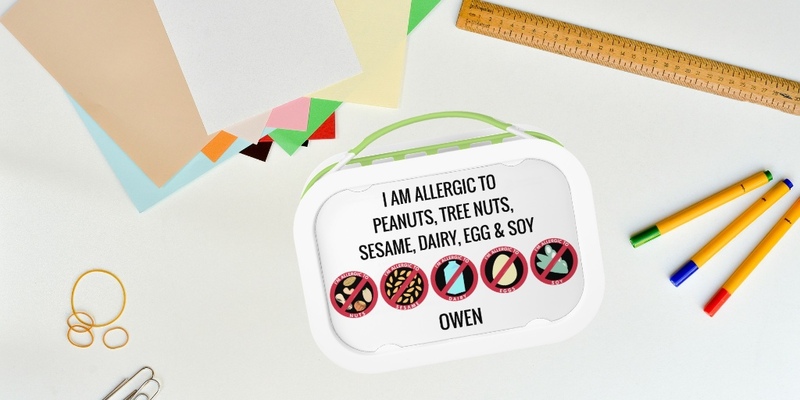 Customize with your child’s allergens, emergency contacts or any other important information. Contact me for custom requests!